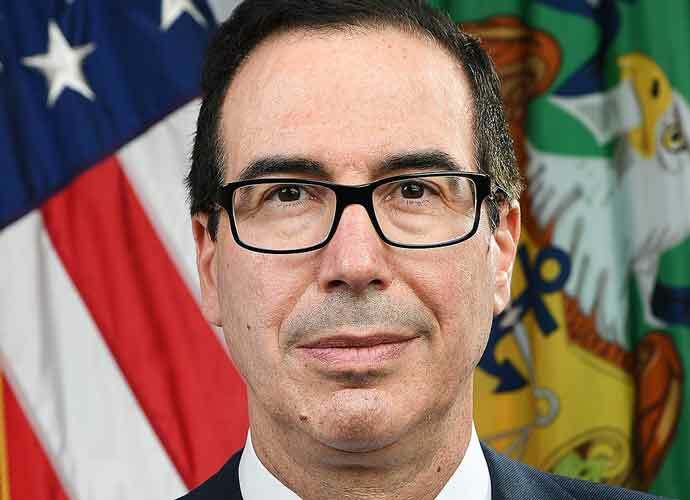 On Tuesday, Treasury Secretary Steve Mnuchin testified before a House Appropriations subcommittee about several issues, including President Donald Trump‘s tax returns – and the hearing got very contentious. House Democrats have been aiming to obtain Trump’s taxes for several days. Mnuchin revealed to lawmakers that a White House attorney spoke to Treasury Department lawyers before they received a request for the president’s tax information. “I have not spoken to the White House chief of staff or the president about this decision,” Mnuchin said in response to a question from Rep. Mike Quigley (D-Ill.), the committee’s chairman. Mnuchin then added that Trump’s decision not to release his tax returns — a longstanding convention followed by presidents and many presidential candidates that is not required by law — is an “individual decision.” Trump has repeatedly used the fact that he is under audit from the Internal Revenue Service as an excuse to justify not releasing his taxes, although the IRS has said disclosures can be made while under audit. “I am sure there are many prominent Democrats who are relieved that when [Rep.] Kevin Brady was chairman of the (House Ways and Means) committee that he didn’t request specific returns. But anyway, it is a pleasure to be here with you today,” Mnuchin said. White House Chief of Staff Mick Mulvaney said this week that Democrats would “never” get to see Trump’s federal tax returns, and other prominent Republicans have also said Democrats’ efforts to obtain them are useless. However, Democratic lawmakers in Albany, New York this week announced they are attempting to secure Trump’s state taxes via legislation. Should the IRS miss Wednesday’s deadline to submit six years’ worth of Trump’s federal taxes — as requested by the House Ways and Means Committee — the panel could invoke subpoena power to keep pushing for the documents.